You might want to consider hiring a professional photographer. Doing so will sell your property faster at a higher sales price. Our photography services are a powerful way to boost your marketing portfolio. It’s vital to build a reputation as a broker with the client’s interests at heart. When you invest in your listings, it’s an investment in your name and reputation. If you’re planning on selling a home soon, you might want to consider hiring a professional photographer. Doing so could be worth over $10,000. Brokerage firm Redfin Corp looked at listings to compare those with professional photos versus amateur ones. 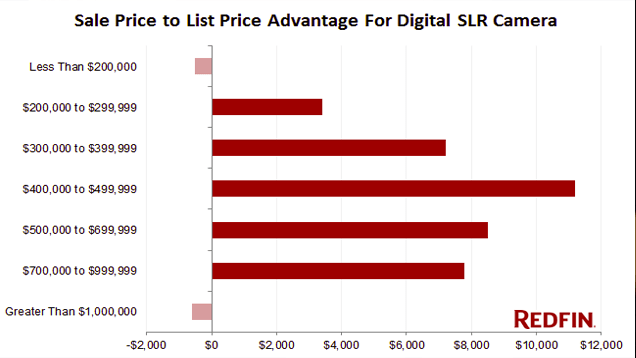 It found that homes listed between $200,000 and $1 million, photos taken with a DSLR sold for $3,400 to $11,200 more relative to their list prices. They were also more likely to sell within six months and up to 3 weeks faster than the listings with amateur photos.